I Love You More Than Carrots: Because We All Love A Good Party.... Showering The Bride! Because We All Love A Good Party.... Showering The Bride! I adore my future SIL. In fact, we're kind of the same person, albeit she is the blonder, slightly younger and way more athletic version of my former non-mom self. In fact, we even went to the same all-girls high school together back in Hometown, New Jersey. And now? She's about to marry my youngest brother-in-law. I mean, do we have great taste in men or what? 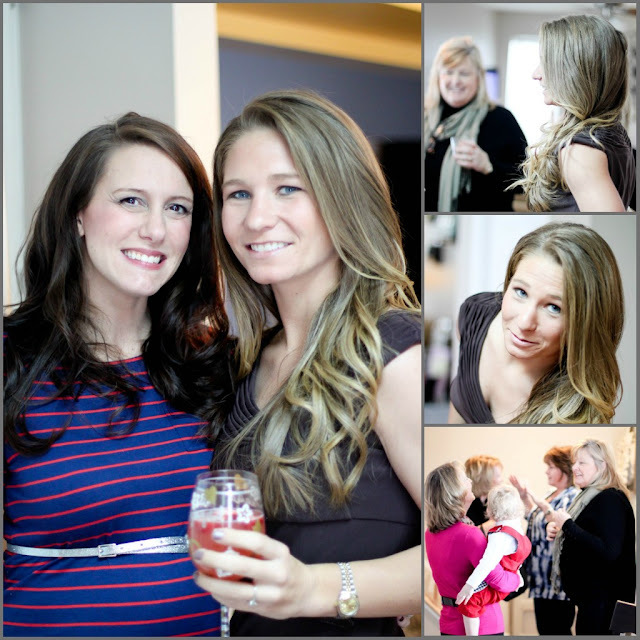 I am so honored to be standing with her as her Matron of Honor in her upcoming New Jersey nuptials and as her MOH, I fulfilled one of my matronly duties this past weekend as I planned and hosted the first of her two bridal showers. It wouldn't have been possible without this girl, my other SIL and fellow New Jersey-ite. As a matter of fact, she even acted as my very own sister-wife, staying over the night before the shower to help with last minute details, prep and set-up. So, how did it go? Just fabulous, if you ask me. I had such a blast planning the small details- everything from the decor to the favors to the food. And thanks to Pinterest, it was fairly easy and tons of fun! ...the bride was thrilled and so incredibly thankful that so many of us came together to shower her that day. Isn't she gorgeous? The bride also happens to be C's godmother and he absolutely adores her. Don't get me wrong, I'm super excited for her to marry my little brother-in-law but I cannot WAIT for them to start having babies of their own! And word has it that my BIL wants quite the gaggle of little kiddies in future! As hectic as it was to plan and pull together an event at my home while 4.5 months pregnant, wrangling The Toddler and during a weekend where The Husband was off galavanting with The Bachelor and his friends, I'm so glad that it came together the way that it did and I can only hope the Bride could feel how loved and adored she is! 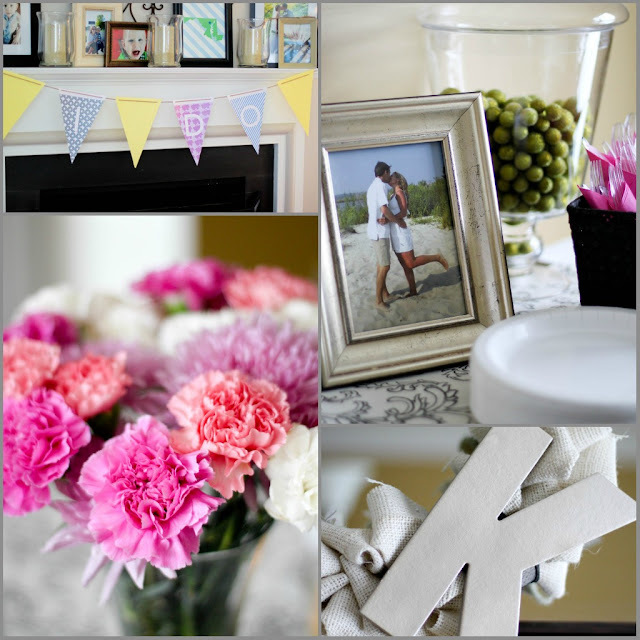 Between C's Carnival Themed First Birthday and KL's Bridal Shower, perhaps a touch of Party Planning is in my future? Oh, I love it! And WOW. Her hair is seriously uh-may-zing. You guys did an amazing job! It looks so pretty! Ooohh I love the decor!! Congrats to your soon to be SIL! So fun! I love the personal sized crudites. I'm sure she knows exactly how much you love her! Looks awesome! Chocolate dipped pretzels are a MUST at every function to me! And...I absolutely hate having left overs...ahem...that I have to keep for myself! ;) Everything looks perfect!!!!! Way to go! I am definitely having hair envy. Love. Can you PLEASE come to Florida and plan Kinsley's first birthday? PLEASE? I love it all! you always do such an amazing job AP! Also, what is that board with the silver crab on it? I'm kind of in a lot of love with that! She went to our high school?? What year did she graduate?? Love everything by the way...may have to steal some ideas for my baby sister's wedding shower!! Great job! Everything is beautiful!! Beautiful! Just beautiful! You did a great job! Congrats to you soon to be SIL! You did an amazing job! She's blessed to have you as a SIL! What a sweet and girly shower! I love all the little details! That's where all the planning comes in...am I right?!???! I saw these on Facebook, and was quite impressed! You guys did a great, great job! what a beautiful bridal shower. It looks great! Nice work ladies! I love planning parties too, but it would be even more awesome to do it on someone else's dime. What a great party! You are talented! Your SIL has fab hair! Umm, that cake is so cool! It looks like raised letters?! Or something fancy?? Y'all did a great job!!! Sister friend! You can throw me a party any day! Well done, woman. Ya did good! 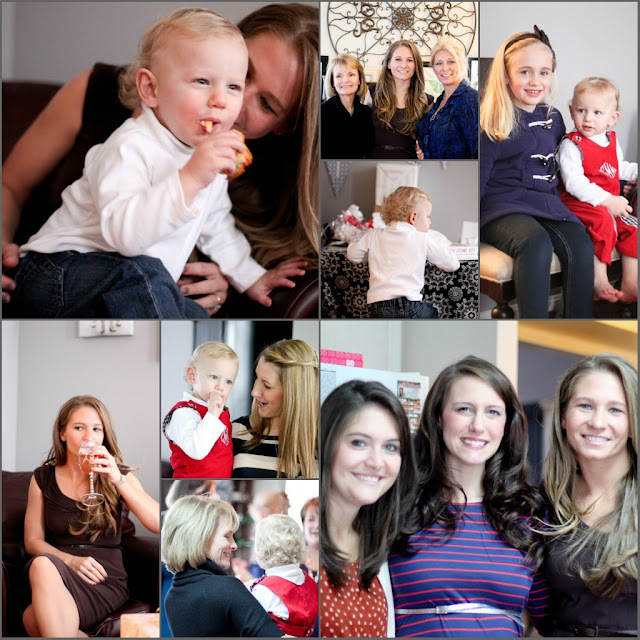 I have to tell you that while I was reading this post, my hubby wandered over and instead of teasing me about reading my mommy blogs, he said, "wow, that food looks awesome. That's a cool way to serve veggies." Looks like so much fun! And what a little "Martha" you are--everything looks great! 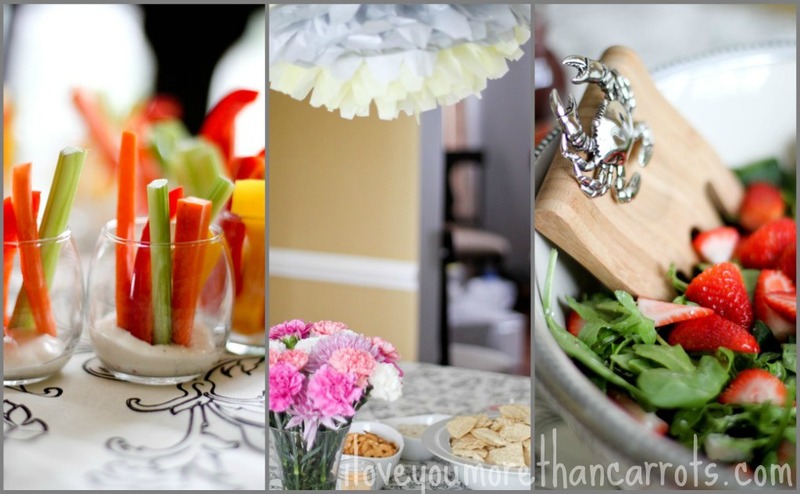 I would totally hire you as a party planner! Beautiful decorations, food, favors, and girls! Good job! You did a great job! Everything is beautiful! 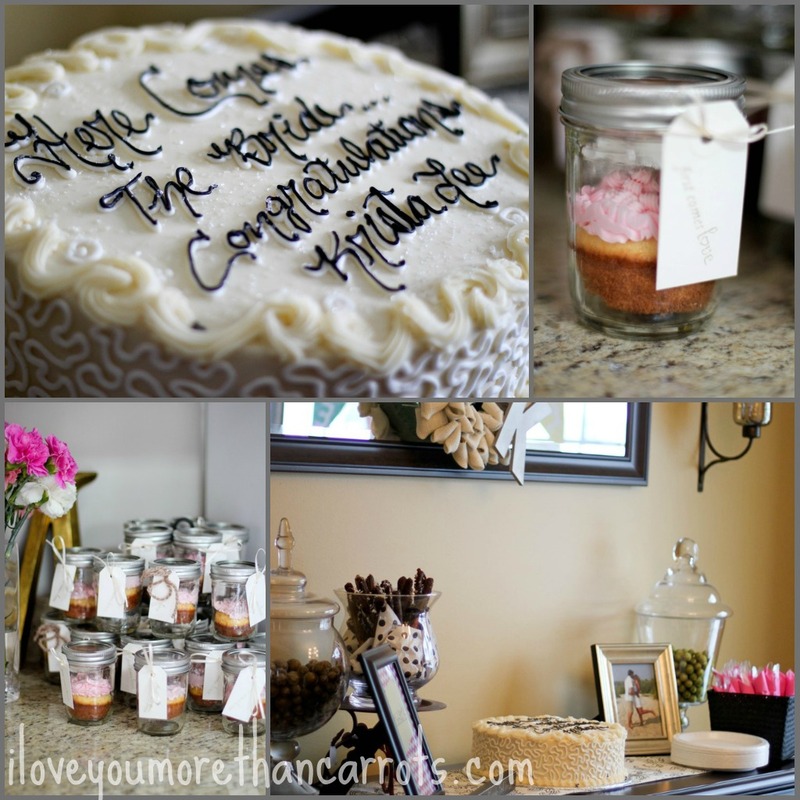 you did a great job :) I'm getting ready to start plan my future SIL's shower too! so excited.